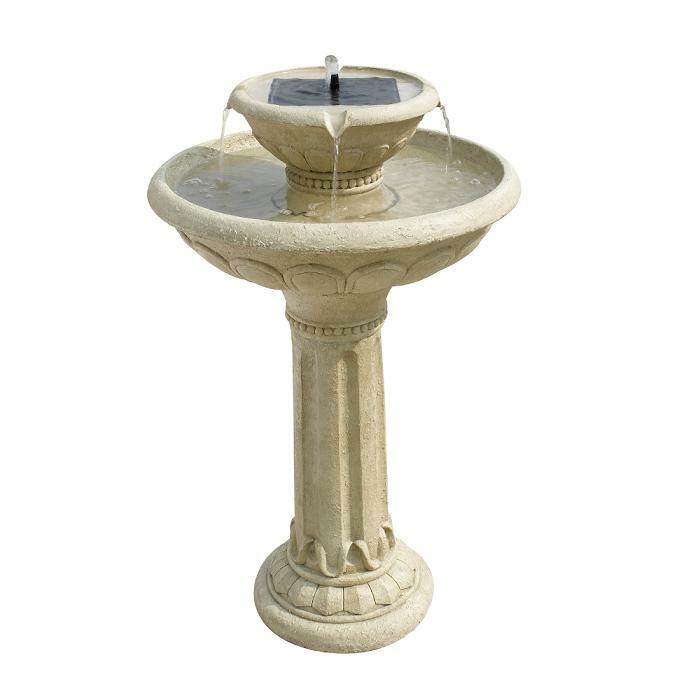 Kensington Two – Tier Solar Fountain / Birdbath with Solar-on-demand feature. 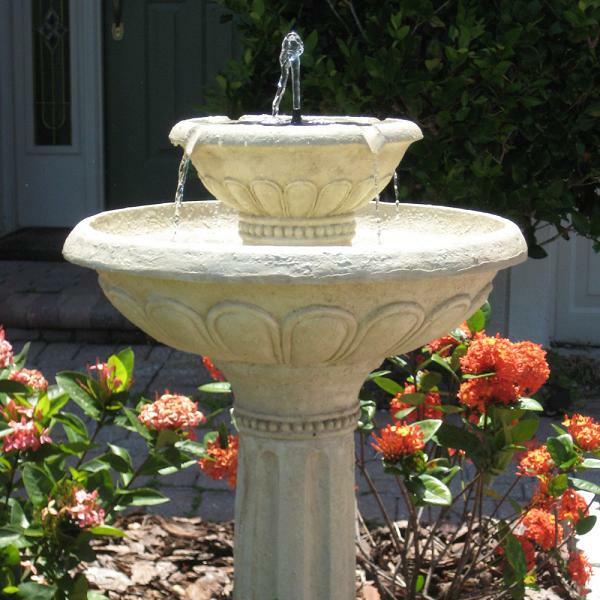 Add this two-tier fountain to your favorite outdoor setting, patio, landscape or garden decor. Lightweight and maintenance free resin with a antique white stone finish. 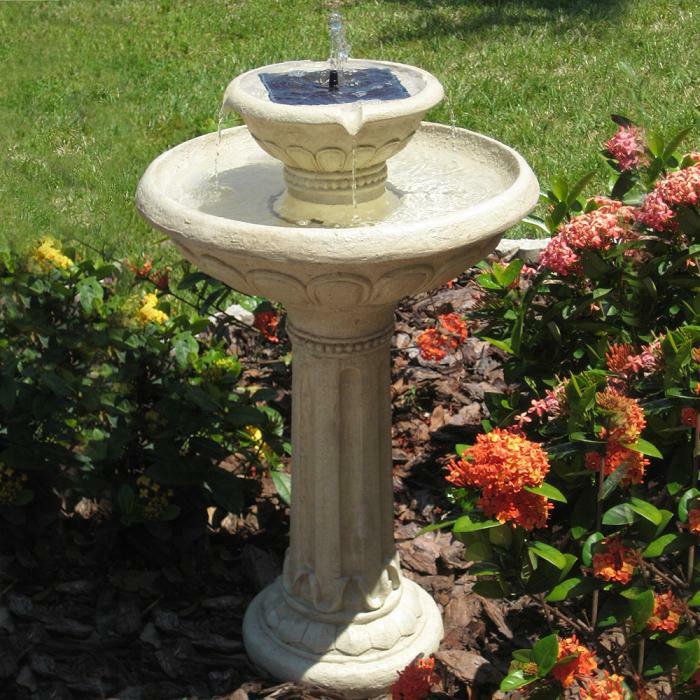 Direct sunlight transforms this large Fountain / Birdbath into a freestanding, reticulating fountain. Birds and birdwatchers alike will enjoy it for seasons to come.